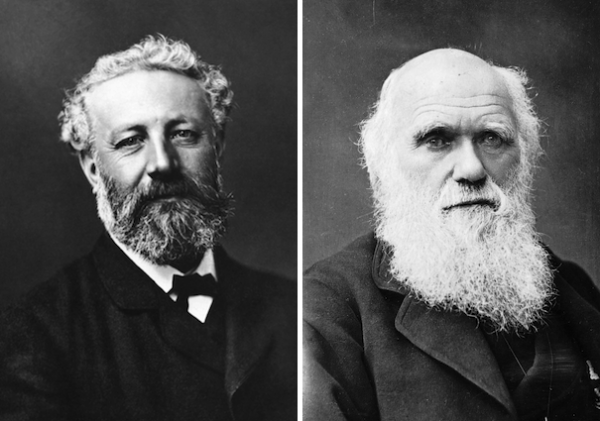 From Tor: On the Origins of Modern Biology and the Fantastic: Part 1 – Verne and Darwin « Adafruit Industries – Makers, hackers, artists, designers and engineers! Great piece from Kelly Lagor up on Tor.com. Science and science fiction are indelibly intertwined, each inspiring the other since their modern birth in the Victorian Era. Both employ similar feats of the imagination—to hold an idea of a world in your mind, and test the boundaries of that world through experimentation. In the case of science, you formulate a theory and conduct a series of tests against that theory to see if it can be disproved by the results. In the case of science fiction, you formulate a reality, and conduct characters through the logical implications of that reality. Good science fiction, like a sound scientific theory, involves thorough worldbuilding, avoids logical inconsistencies, and progressively deeper interrogations reveal further harmonies. This series will explore the connection between the evolution of biology and science fiction into the modern era. Twenty Thousand Leagues Under the Sea starts with a mystery. Reports mount of an unknown monster attacking ships the Atlantic and Pacific—a monster hundreds of feet long, with lights along its spine, a horn that can pierce the steel belly of a ship with ease, and the ability to travel from sea to sea at a remarkable rate. A naturalist and expert on sea life is recruited to aid in the hunting of this monster, only to discover that it’s not a monster at all, but an extraordinarily posh submarine. Adventures ensue until the protagonist and his companions finally escape Nemo’s gentlemanly tyranny. It is a story packed with interesting scientific infodumps and adventures to impossible places. It is a story that took Victorian dreams about the future of technology and used rigor and research to show what that reality could be.